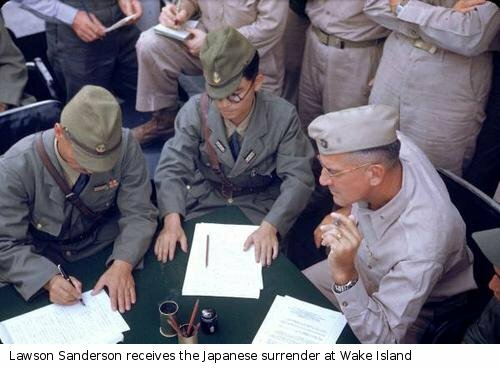 The Pacific War Online Encyclopedia: Sanderson, Lawson H.M.
Sanderson was a pioneering Marine aviator who helped develop the technique of dive bombing during the 1919 intervention in Nicaragua. He also competed in several air meets in the 1920s. 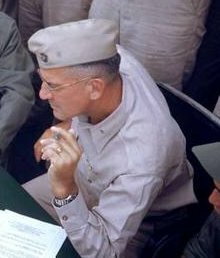 He commanded 4 Marine Aircraft Wing from 21 May 1945, and in this capacity he received the Japanese surrender of Wake on 7 September 1945.